What's good at Trader Joe's? What's not? These are questions that fans and detractors of the store are very passionate about. Last August, Nathan Rodgers, his wife Sonia, and their friend Russ Shelly and his wife Sandy decided to systematically review every product to find out. 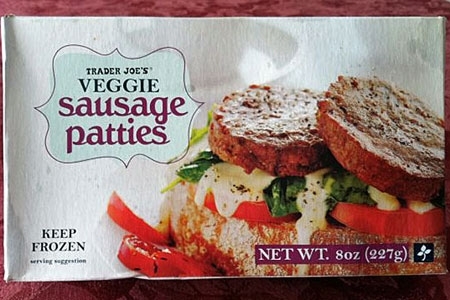 Click for The Best and Worst Products at Trader Joe's Slideshow. The team reviewed 75 products on their site, What's Good at Trader Joe's?. They then rated them for The Daily Meal in five categories (drinks, desserts, sauces and soups, international entrées, and snacks), setting off a firestorm of comments from both "TJ's" fans and "Traitor Joe's" haters. "The frozen chocolate croissants from TJ's are amazing," noted one. 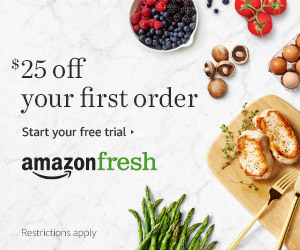 "I hate TJ's produce," said another. "It tastes like science." The last laugh is on haters. Several confused readers wrote requesting stores be built in Wilkes-Barre, Penn. ; Memphis; Kansas City; Dallas-Fort Worth; and the Pacific Northwest. And some of these wishes may be fulfilled. According to Trader Joe's, stores are planned for Kansas City; Chicago (South Loop); Leawood, Kan. Louisville; Mt. Pleasant, S.C.; Pittsburgh; Spokane, Wash.; State College, Penn. ; and Staten Island. With 2011's midpoint nearing, it's time to check in again with the trio to get an update on the best and worst products. You have to wonder, given the time they've spent in the store and all the products they've considered, is there anything the What's Good at Trader Joe's folks are scared to try? "We don’t really have a top five list for what Nathan and I are scared to try, but I can tell you our top scary items," Russ confided. "We’ve had fans swear by it, though," said Russ. "For me, the thought of trying any Trader Joe-brand sushi is a kneeknocker. I’ve heard horror stories from sushi aficionados, and the one time I’ve had sushi in my life, at a pretty respectable restaurant, I wasn’t much of a fan. I can’t imagine the Trader Joe’s sushi being worthwhile or remotely enjoyable." And with that, it's time for some best-ofs. Below are Russ Shelly's picks in five new categories with his brief reviews and ratings on a scale of 1 to 10 (10 being the best), including a category likely to stir things up: "Worst. Stuff. Ever."